Cannot wait to hear the finished product….pretty trippy grooves…rock on. 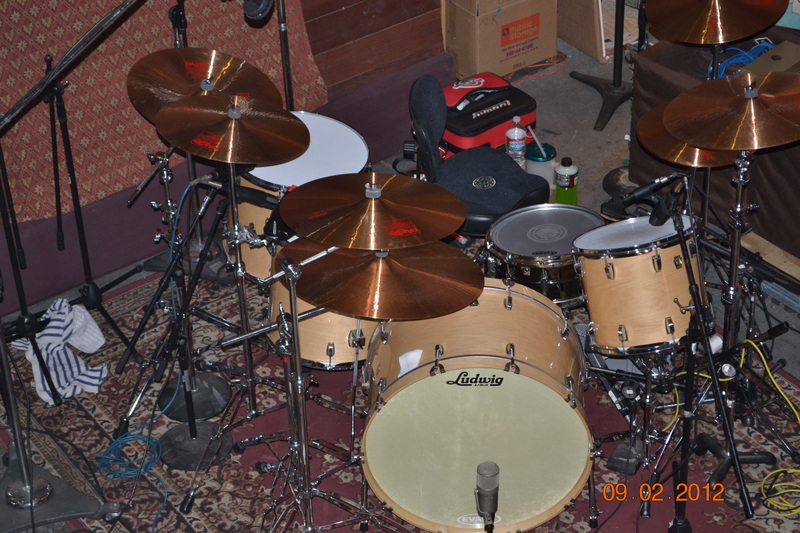 I have been recording scratch drum tracks for a new 5 song CD. Great players fun tunes. Groove rock instrumentals. I hit the studio in mid March to record my actual tracks. Look out for videos as well as song samples. More info to follow. Click on the link to view a new variation to a classic chop builder exercise! 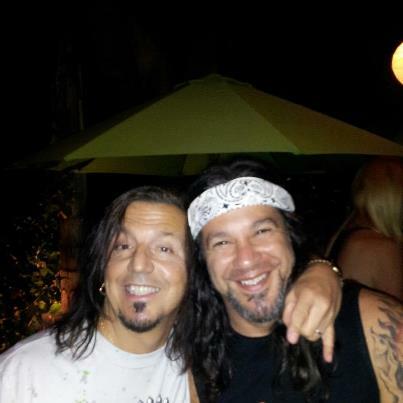 Tony and I hanging out before jamming at a party. I like to add this type of pattern to spice up shuffles, blues and swing. 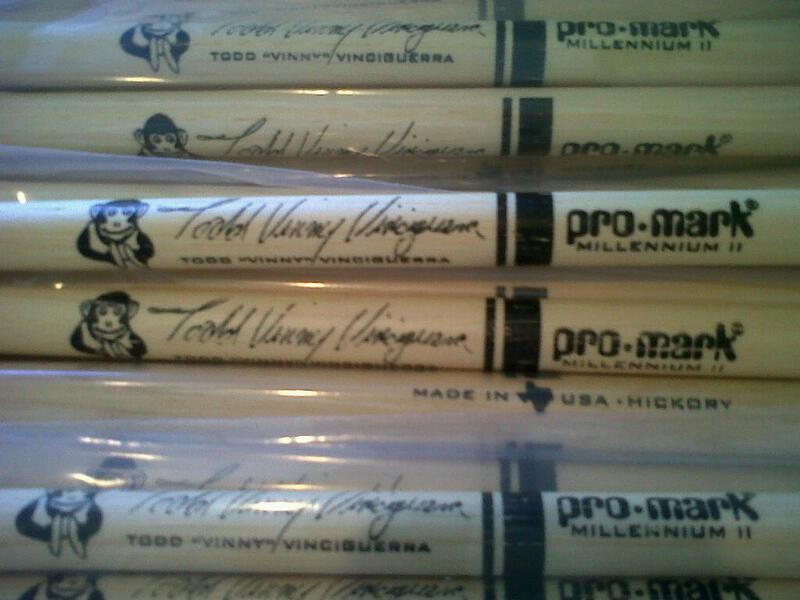 Try going over the bar line for added oomph…..just make sure you hit 1 so you do not throw off the rest of the band…..
My new Promark Custom TX526W sticks are here! I have been writing tons of double bass drumming exercises. Several will be published in upcoming Modern Drummer magazines. Breaking in my new Ludwig Atlas Pro double pedals in the process. Hands down, they are simply the best pedal I have ever played! Please click on the link to view the article I wrote for Modern Drummer magazine. Check out the June 2012 issue of Modern Drummer Magazine for another one of my double bass drum lessons.